Video for "Ethical Dilemmas and Humanist Ethics"
There is an upcoming conference in Boston, August 30 - September 2. Our own Concord Area Humanist steering committee member, Ellery Schempp, will be one of the speakers. 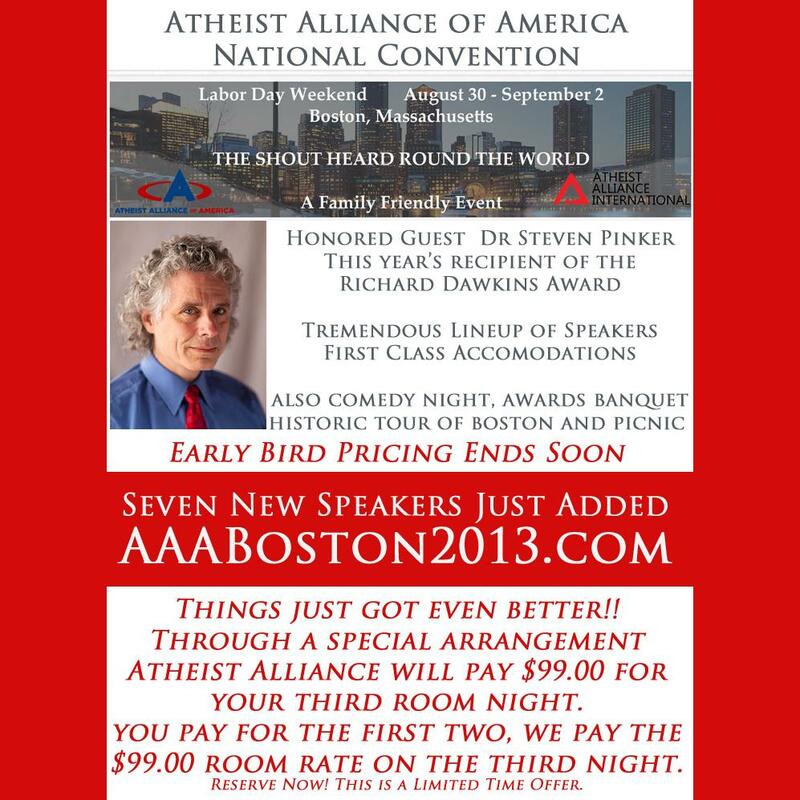 Visit http://AAABoston2013.com for details and to register.